Today is the fortieth anniversary of an important historical event. Well, no. It’s not actually. It is however the fortieth anniversary of an important event in my life or, as they say on Facebook, a life event on my timeline. 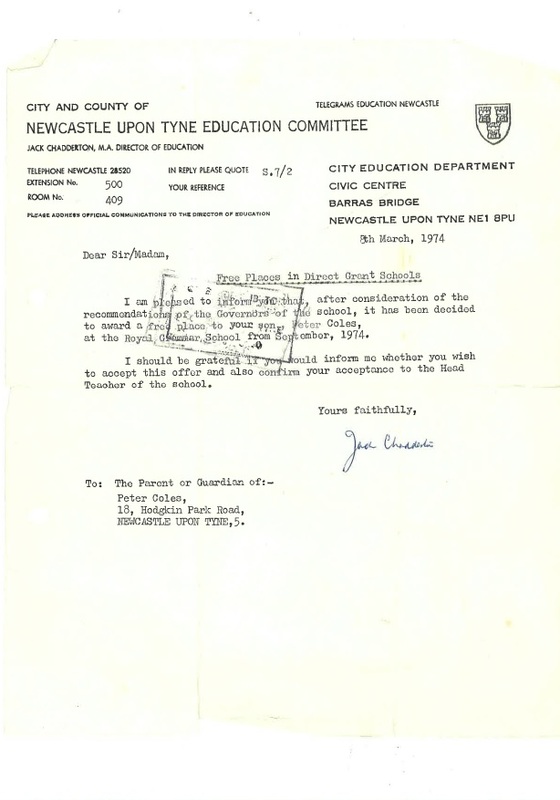 On January 23rd 1974 (in the middle of the “Three Day Week“), I arrived at the Royal Grammar School in Newcastle upon Tyne to take the Eleven Plus entrance examination. The RGS was basically a private school, but it operated under what was called the Direct Grant system, which meant that applicants who did well in the entrance examination could have their fees paid by the local authority. That was the only possibility for me to go to there, in fact, as there was no way my parents could have afforded the fees. It wasn’t my idea to go for the examination either. 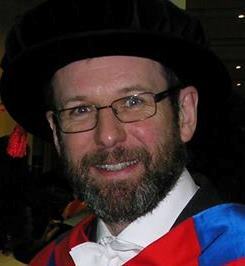 I would have been happy to go to the local comprehensive with my friends from Pendower Junior School and in any case thought I faced humiliation in the examination, as I’d had no preparation for it (unlike many of the more well-to-do applicants). Nevertheless, my parents insisted and I turned up on a cold Thursday morning to take the test. I remember little about the examination, except that it comprised several papers including one on English comprehension and another on Arithmetic. I’d never sat an examination before and I do remember that I found the whole thing excruciatingly hard. I think I found the Arithmetic paper so difficult that I almost decided to get up and leave; I may even have cried. I left with a sense of relief that it was all over, and a certainty that I would not be going to the RGS. Nevertheless, a short time later, in February I think, I was summoned for an interview which experience terrified me despite the fact that the staff involved were really very kind and friendly. I was very surprised to have got that far. Surprise turned to astonishment in March when the letter arrived (left) confirming that not only had I passed but I had been awarded the scholarship that I needed to allow me to go there. And before you ask why I kept the letter, I’ll admit that I also still have all my school reports from the RGS. Vanity is part of the reason, I suppose, but the other is to remind me of how lucky I’ve been with the opportunities that have come my way. I remain completely convinced that I got my place and scholarship as a result of some form of administrative error, but I vowed to make the best of the opportunity. The UK education system has all changed (several times) since then, of course, and I often wonder how many youngsters far cleverer than me from working class backgrounds would nowadays have any chance of following a path like that which presented itself to me.